Athletic Seating offers a full line of quality Hussey Seating products. From elementary school needs with the Model 2617 Chair, all the way up to the quality, comfy VIP Chairs….and everything in between! 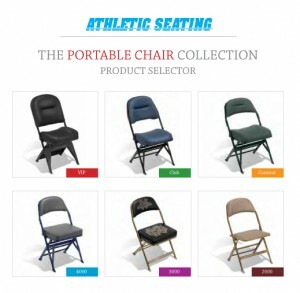 With a full range of seating solutions and with many options to choose from, Athletic Seating is you one stop shopping for chairs, stools, and storage carts. Thats besides our state of the art printing quality, thats an exclusive process only Athletic Seating can give you.